We're looking for exceptional Data Scientists to join our Data Science team in either Berlin or New York. As a keen analytical intellect and sharp commercial mind, you will work closely with key leaders across a broad array of impactful topics and directly help shape SoundCloud’s Product and Business Strategy. 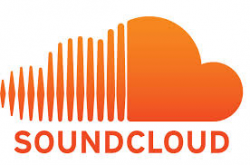 You will be part of the Strategy & Analytics team at SoundCloud which focusses on informing company strategy through in-depth understanding of user behaviour/product/content dynamics and generating strategic value from SC’s vast data asset. You will be responsible for conducting behavioral analyses, designing, running and interpreting experiments, creating analytical frameworks, designing dashboards and building predictive models in order to inform decision making in a series of complex product and business problems and ultimately elevate SoundCloud’s ability to compete. On a daily basis you will help guide decisions with quantitative insights into user behavior, content and product dynamics. Our stack includes a wide variety of technologies such as BigQuery, Python, Spark and Tableau. Work hand in hand with engineering teams to define data driven tracking for our new features. You are an experienced Data Scientist with minimum 3 years experience who excels at analytical thinking, and brings strong commercial and product intuition along with sound technical knowledge and fantastic storytelling skills. You feel comfortable writing SQL queries and Python code and you are willing to embrace new technologies. You have a background in a quantitative field (mathematics, computer science with strong academic record preferred) and a track record of applying statistical inference and engineering in real world data science problems (ideally in a global b2c product in the digital space). You enjoy working closely with teams and you want to make a real impact on the company, in the world of music and creative expression.